Sofitel Silver Plaza Jinan is located in the capital of Shandong Province, home town of Confucius. Situated in the heart of the city, adjacent to the World Trade Centre and Silver Plaza shopping mall, the hotel features 271 rooms, 3 bars and 6 restaurants. The flagship Silver Sky revolving restaurant on the 49th floor, enjoys panoramic views of the city. 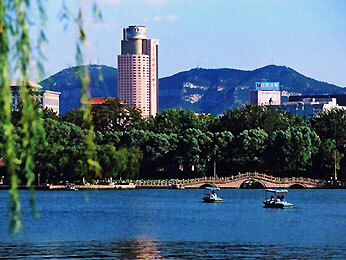 Local attractions including Baotu Spring, Damming Lake and One Thousand Buddha Mountain are also nearby.